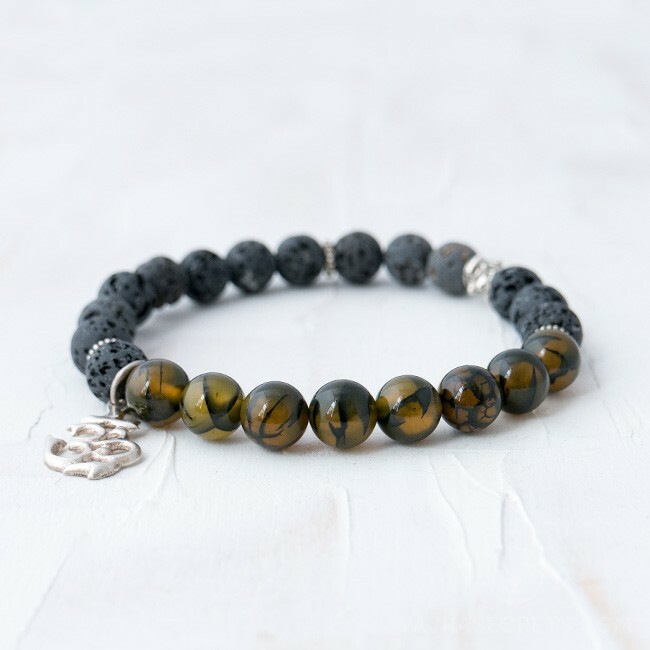 This stretchable mala bracelet combines the grounding properties of Lava Stone with the balancing effects of Dragon's Vein Agate. Pewter dividers and a delicate handmade sterling silver OM charm complete this stylish bracelet. Inspired by our innate Buddha nature, this stretchable mala bracelet combines the grounding properties of Lava Stone with the balancing effects of Dragon's Vein Agate. Antique silver-plated pewter dividers and a delicate handmade sterling silver OM charm, representing the pure exalted body, speech and mind of a Buddha, complete this stylish bracelet. 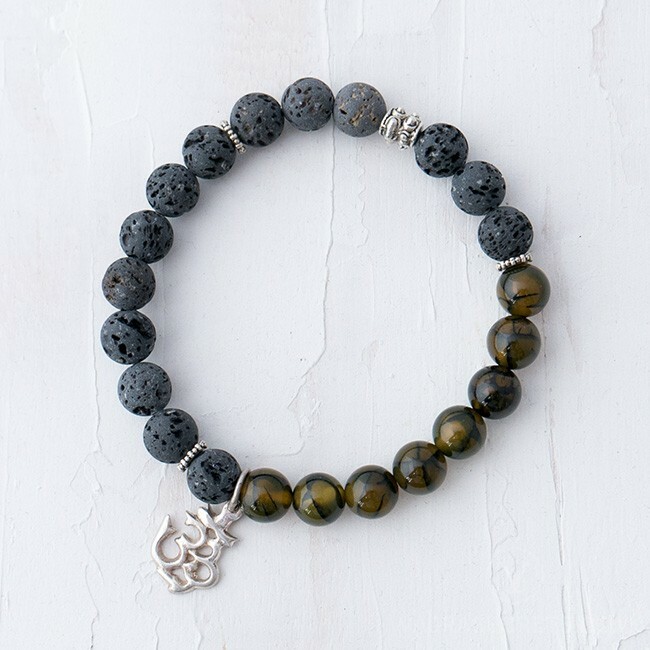 Lava Stone is known for its grounding qualities and is excellent for calming unsettled emotions. Believed to promote strength and fertility, it contains powerful volcanic energies which aid healing, overcome depression, boost energy levels and improve vitality. Dragon's Vein Agate, like all agates, is prized as a protective talisman or amulet and is known to balance energies, promote healing and goodwill, and enhance perceptiveness. In particular, this stone is said to promote energy and strength, and heightens creative visualisation.